Everyone wishes they had beautiful hair, every day. But itâ€™s not enough to just buy an expensive shampoo or go to a salon once a month, because all youâ€™ll get is a temporary effect. For permanently luscious locks you need to start thinking holistically - that is, feed and nourish your hair from within, so that the natural goodness filters through to your hair and keeps it looking amazing all day, every day. So Iâ€™m not going to just recommend brilliant products (which can help, but are only a stopgap), I want you to start thinking about the bigger picture: how to be practical and realistic about what your hair needs in order for it to be your crowning glory. This isnâ€™t a quick fix, because there isnâ€™t one. If you want amazing hair, then you need to invest time and energy in it. 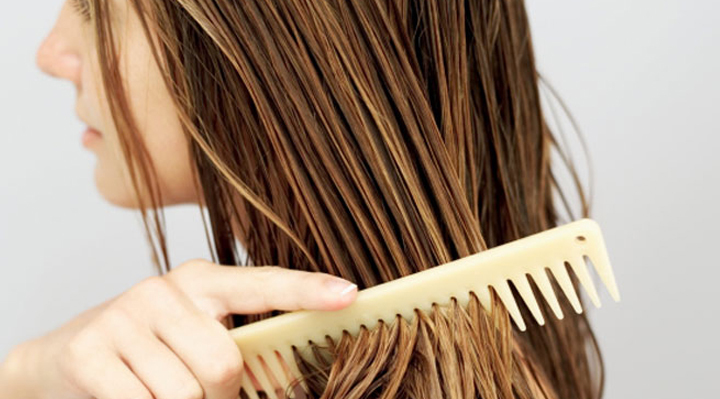 Simply follow these tips every day to achieve the healthy, gorgeous hair youâ€™ve always wanted. Many people think that they need to wash their hair every day to keep it clean and shiny but if you do this then youâ€™re actually stripping your hair of its essential oils, which can dry it out and cause ugly split ends. It can also fade your color faster. Washing hair every day will actually make it look duller, and you end up using more products than you really need to get it looking shiny again, and that product is going to build up and block your follicles. Also, excess washing will dry out your scalp, leaving you prone to the dreaded dandruff. Not only that, but every time you wash it, youâ€™re probably having to dry it, too, and that means a bigger risk of heat damage from hair dryers, heating irons and curlers etc. â€˜Dirtierâ€™ hair is actually easier to style, and your hair will have time to breathe and replenish those vital oils. So how do you maintain gorgeous hair between washes? Look for natural products like WEN Sixthirteen, which wonâ€™t strip your hair of its natural oils or dry it out. It will also hold your natural oils in and prevent your hair from getting greasy. Even after three days, your hair will still be looking good. This shampoo is excellent for ridding your hair of product build-up, too. Many of us donâ€™t actually wash our hair properly, weâ€™re too impatient, we just wash and go. But you need to spend time massaging your scalp, spreading the shampoo right through to the ends etc, so that youâ€™re sure youâ€™ve got everything out. These are becoming increasingly popular for women (and men) on the go. It saves you tons of time and your hair will maintain its bounce and glow and wonâ€™t get oily. Try Tabitha James Kraanâ€™s Organic Dry Shampoo, which contains loads of pure, natural ingredients and even comes in a very handy travel size. Heat damage is a leading cause of dull, unhealthy-looking hair. 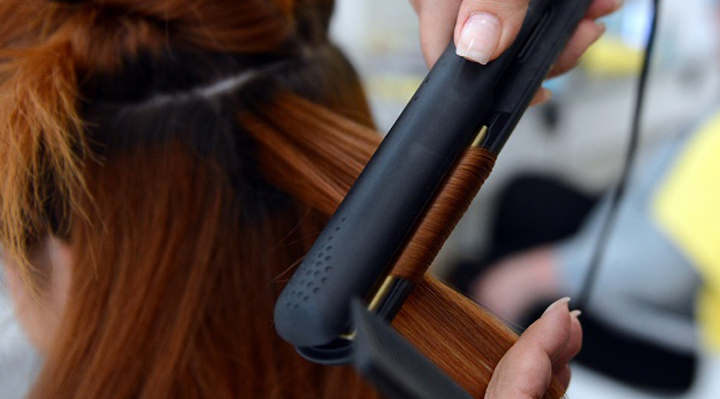 Too many of us rely on heating irons and hairdryers to keep our locks in check, but do you really need to blow dry so often? Think about it - youâ€™re applying red hot heat to something organic, and thatâ€™s going to â€˜killâ€™ it after a while. Try to use other methods of styling your hair - pulling it up into a ponytail, adopt a stylish bun, use grips to sculpt your hair into something funky and edgy. Try letting it dry naturally from time to time and experiment with different styles which suit the natural fall and curl/kink of your hair. Weâ€™re funny about our hair, few of us like experimenting. We find a style we like and we tend to stick with itâ€¦ for years! But there are so many different hairstyles out there, and most donâ€™t require much time or effort to apply. 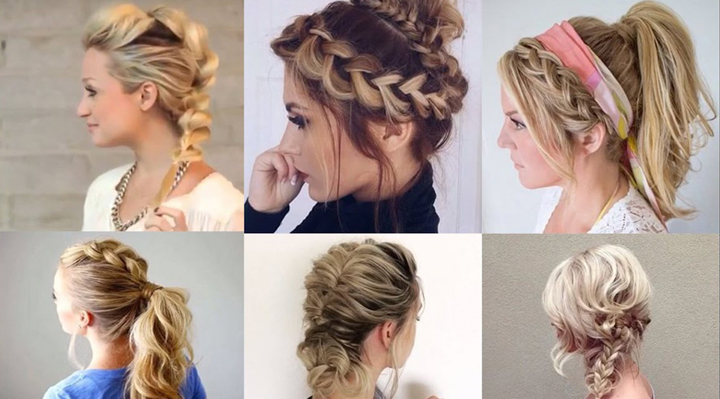 Go to Pinterest and have a look at the vast array of simple hairstyles for all different kinds of hair. Even short hair can be styled in numerous, funky ways to make you stand out from the crowd. Even if youâ€™re a wallflower, thereâ€™s no reason you canâ€™t switch up your hairstyle. You never know, it might inject a fresh burst of self-confidence, especially when friends and coworkers start commenting on how great you look. Even if something doesnâ€™t work, itâ€™s only hair, and itâ€™s easily changeable. Personally, I just love pulling the front hair away and off my face with a headband - this still gives me the straight hair look I like with it being down. Wearing a ponytail in the same place can also cause breakages and make certain parts of your scalp weaker than others, so itâ€™s important to vary where the central â€˜bunchâ€™ is located. So try switching your ponytail every other day from a low, middle or high ponytail, to a side ponytail. You can even try braids, then the next day let your braid out for a wavy or curly look. For me, I have naturally wavy hair, so sometimes I will wash my hair then put some organic styling products on and let it air dry naturally. This means Iâ€™m avoiding heat and Iâ€™m also experimenting with different wavy looks as opposed to always doing it straight. 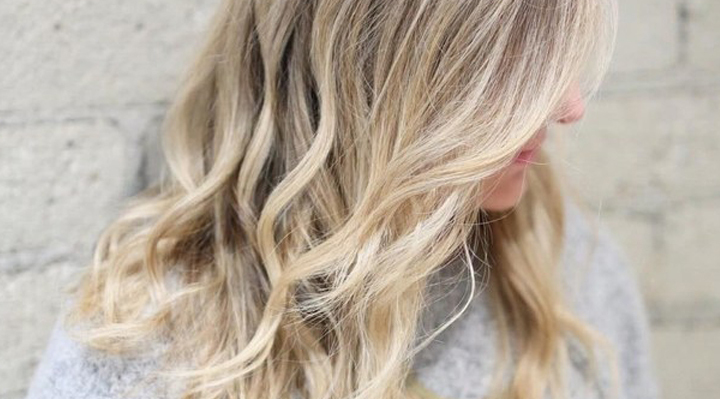 This might sound strange, but there is actually a â€˜rightâ€™ way to brush your hair. Itâ€™s also essential to have the right brush. For instance, I know people who swear by boarâ€™s bristle brushes, because they cleanse the hair as it brushes. Stimulating the scalp gets the blood working and will help distribute those great oils and sebum evenly around your hair, so try and squeeze a scalp massage into your daily routine. If youâ€™re prone to hair loss, or have really thin hair, then vigorous brushing helps stimulate the sebaceous glands, too, which strengthens your hair and helps spread vital nutrients and so helps prevent hair loss. Sounds odd, but try and lean forward when you brush. This is so more blood rushes to the scalp as you brush, the benefits of which Iâ€™ve already mentioned. Comb your hair before you wash it. Donâ€™t brush it, comb it. On very tangled hair, brushes can break the hair, so a wide-toothed comb is recommended for detangling it prior to a good wash.
Do the same after the wash, until your hair is mostly detangled, then use the brush when it comes to styling. Remember, every tug on your hair will pull hair out as well as detangle it, so take care and, although vigorous brushing is good, dragging at your hair is not. Donâ€™t just brush in the morning, either. Brush during the day, if youâ€™re able, and always before you go to bed, too. You want your scalp to get as much blood flow as possible, and also leave your follicles unobstructed so the sebum distributes evenly. You can buy all the best shampoos and styling products on the shelf but, if youâ€™re not putting good things into your body, then nothing good is going to show on the outside, either, and that goes for hair, too. We are what we eat, and if we expect to have amazing hair then we need to take care of it by ensuring we give it all the minerals and nutrients it needs. Just as working out keeps the body healthy and supple, eating healthily is going to keep your hair well-nourished and shining like the sun. If you eat crap, then it will show in the state of your hair, and no amount of expensive salon products will fix it, theyâ€™ll only mask over the bigger problem. Also, if you smoke, drink alcohol or take drugs, then itâ€™s going to impact on your hair. So be honest and look at all your unhealthy habits, then be proactive and decide what you can do to change them. For example, adding certain vitamins to your diet is a great start to getting back on track to healthy hair. Itâ€™s always best to get those vitamins from food instead of supplements, but a tablet here or there wonâ€™t hurt. Also known as retinol, vitamin A helps produce sebum, which is essential in keeping hair naturally shiny. You can find vitamin A in foods as varied as carrots, spinach and peaches. Be wary of taking too much, though, as excess vitamin A can actually lead to hair loss in some people. Vitamin B is such a good â€˜umbrella vitaminâ€™ because it helps with so many things, from eyesight and skin to suppleness and, yes, great hair. 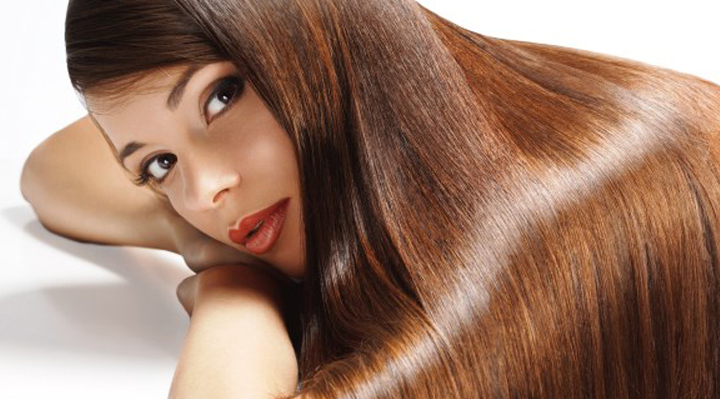 Vitamin B contains biotin, which stimulates the production of cellulose and keeps hair thick and bouncy. It also promotes elasticity and is a source of keratin, which greatly strengthens hair. You can find natural vitamin B (biotin) in brown rice, peas and lentils. One of the prime causes of hair thinning and hair loss is a lack of iron, and vitamin C vastly improves the bodyâ€™s ability to absorb iron. Get your natural vitamin C from citrus fruit and, surprisingly, broccoli, which actually contains around five times more vitamin C than oranges. As a supplement, I use Perque Vitamin C powder every day. Itâ€™s a powerful antioxidant and not only strengthens my hair but also helps with reducing the signs of aging. Win-win! Usually known as the â€˜bone vitamin,â€™ vitamin D also plays a vital role in healthy hair because it stimulates the growth of new hair follicles, which means more hair, which means thicker hair. Get natural vitamin D from dairy products and oily fish. Known as the â€˜skin vitamin,â€™ vitamin E is an antioxidant which can also greatly improve the state of your hair by â€˜de-stressingâ€™ it, allowing the natural oils to do their work unhindered. 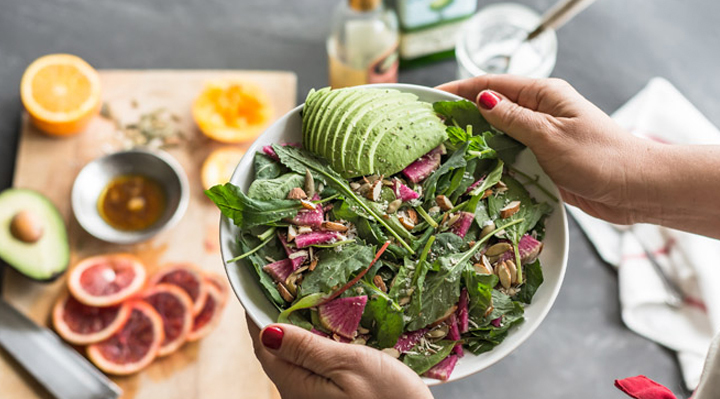 Eat plenty of seeds, nuts and avocados to get your daily boost of vitamin E.
An essential element for our health, iron promotes blood cell renewal and helps the blood pump more effectively around the body. This means that everything from skin, to muscles to hair, renews and regenerates quicker and stronger. Remember, anemia is a major cause of hair loss and hair thinning, and anemia is caused by iron deficiency. Incorporate shellfish, red meat and eggs into your diet to get your natural iron boost. Zinc is natureâ€™s natural healer, promoting regrowth if skin and hair. You have to be careful with zinc as it can irritate the stomach if you take it as a supplement, so itâ€™s always best to ingest it naturally, through foods such as oysters, pulses and red meat. Omega 3 oils found in oily fish will stimulate sebum production and result in naturally glossy, thick, healthy hair. Fish oils are a wonder-supplement anyway, helping to keep skin strong and glowing, so they should be a standard part of your diet. Not all fish will give you the â€˜good oils,â€™ though, so stick to salmon and sardines, as well as fat-rich nuts like almonds and pistachios. Finally, protein is an essential element of healthy hair, because your hair is protein (keratin). So keeping your diet full of protein will only strengthen what is naturally there anyway. Chicken, nuts and eggs are all fantastic sources of protein and will boost your energy throughout the day. Personally, I use Great Lakes Gelatin, a protein-rich supplement which boosts collagen production - essential for strong, shiny hair. If you're someone who regularly colors or highlights their hair, then you know how damaging it can be. But that doesnâ€™t mean you have to sacrifice your favorite look, it just means trying to find a more natural, less-damaging way to get the same effect. I get natural highlights from my hairdresser, Chloe, at Chaz Dean Studio - itâ€™s the same place I get those fabulous WEN hair products. No harmful chemicals, no unnecessary additives, nothing thatâ€™s going to cause your hair needless suffering! The hair color he uses for both glossing and highlighting is purposely low-ammonia - no bleach in sight, so the process is as safe and nutritious as itâ€™s possible to get. You'd be surprised at how many people go without getting their hair cut on a regular basis. Even if you are trying to grow out your hair, you still need to get it trimmed in order to keep it healthy. 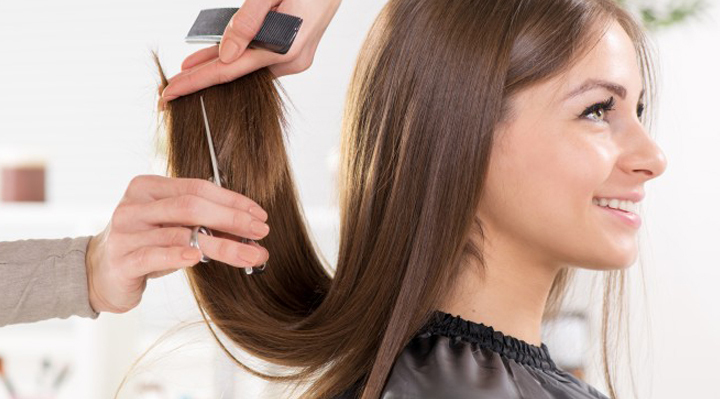 Regular trims will actually encourage your hair to grow more quickly! 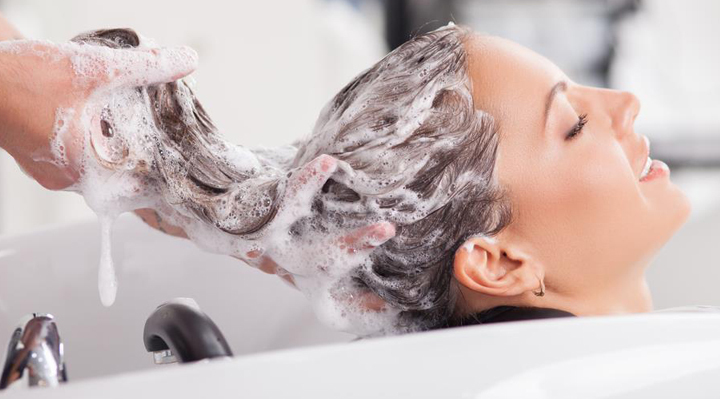 Believe it or not, thereâ€™s a right way and a wrong way to shampoo your hair, but most people buy the same shampoo and conditioner and never change. You need to switch up your shampoo, though, just as you need to switch up your fitness program the longer you do it, otherwise your body/hair gets used to the same thing and youâ€™ll stop seeing the benefits. With your hair, youâ€™ll also experience build-up if you use the same product too often. You know what they say - a change is as good as a rest! - Once a week, or every other week, use a different shampoo and conditioner. Then go back to your original ones and you will notice a difference right away when styling. 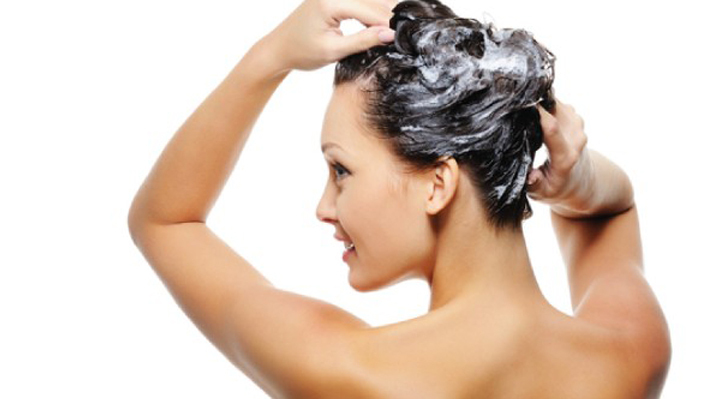 - Once or twice a month, use a hair cleanser, which is different from a shampoo. You canâ€™t use these on a regular basis (theyâ€™re too harsh and can strip your hair of essential oils if used frequently,) but what it will do is quickly remove product build-up. Your hair will be left literally squeaky-clean, so donâ€™t use one if you want to immediately style it or put it up, because it will be too clean to hold anything. I use Tabitha James Kraanâ€™s Balancing Organic Hair Cleanser, which is detergent-free and works the scalp as well as the hair, completely ridding the hair of any product and helping to protect against future damage. Another product I use is Innersense Organic Beauty Hydrating Cream Hairbath, which lathers beautifully and you can really feel it enriching your hair as you wash - itâ€™s a real luxury! Again, itâ€™s full of natural ingredients and no harmful chemicals. 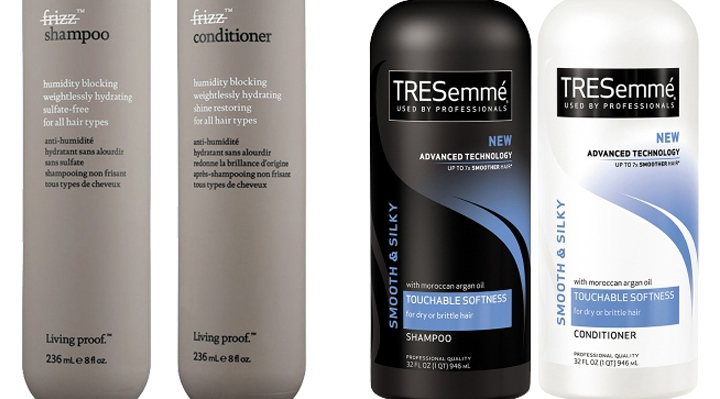 Just as with shampoos, a good conditioner is vital if youâ€™re going to maintain healthy hair. Conditioners donâ€™t just make your hair feel silky smooth, theyâ€™re working from within, to protect against all the damage we do to our hair. - Always match the right conditioner to your hair type. - Use a little leave-in conditioner prior to any heat use, again to protect your hair. My WEN shampoo can be used as a leave-in conditioner, too, so itâ€™s a 3-in-1 magic product! - Using leave-in conditioner on dry hair can instantly hydrate it and prevent frizz. After using heating irons I always apply a conditioner to instantly rehydrate my hair. I use Innersense Organic Beauty Sweet Spirit Leave-In Conditioner, which not only adds body but also a natural honey-kissed shine. Itâ€™s quick and easy, and a little goes a long way. For an in-shower conditioner, Iâ€™d recommend Innersense Organic Beauty Hydrating Cream Conditioner, which is just fabulous if you tend to have brittle, fine hair. Itâ€™s intensely hydrating and really does leave your hair with that fresh-from-the-salon feel. You should also try this amazing 4-in-1 Organic Conditioner from Tabitha James Kraan. Itâ€™s a real multi-tasker, so you can use it as a regular conditioner, leave-in conditioner, moisturizer cream for your scalp and as a styling cream. Great for traveling as you only need to pack this one bottle for everything you need. On days when I want to give my hair a break, I use a deep conditioner. Itâ€™s really important to do this every once in a while to make sure your hair is treated to a really intense workout. It's one thing to use a conditioner after shampooing, but a deep conditioner will really help to hydrate and protect your hair from current or future damage. Try Innersense Organic Beauty Hydrating Hair Masque, which has flaxseed and Monoi oils which penetrate deep into the hair and help it hydrate from within. It also has shea and coconut butters so that, afterwards, your hair is left feeling impossible silky and smooth, not to mention leaving it smelling fantastic! The best oil Iâ€™ve found is Innersense Organic Beautyâ€™s Harmonic Healing Oil, which is another great multi-tasker because you can use it on your skin as well as your hair. Unlike many oils, itâ€™s completely non-greasy and will banish any dry patches on your scalp - a very common problem when you consider how often your head gets wet.